Rock-It Rhinestone Stencil Flock is easy to cut with any cutter and is economical to use. Flock surface is easy to separate from the sticky back. Perfect for rhinestone templates, and the stencils can be used again and again. A 60° cutting blade is recommended, but will also work with a 45° blade. MESA no longer carries Sticky Flock, as the manufacturer went out of business. Give Rock-It a try - we think you'll like it! 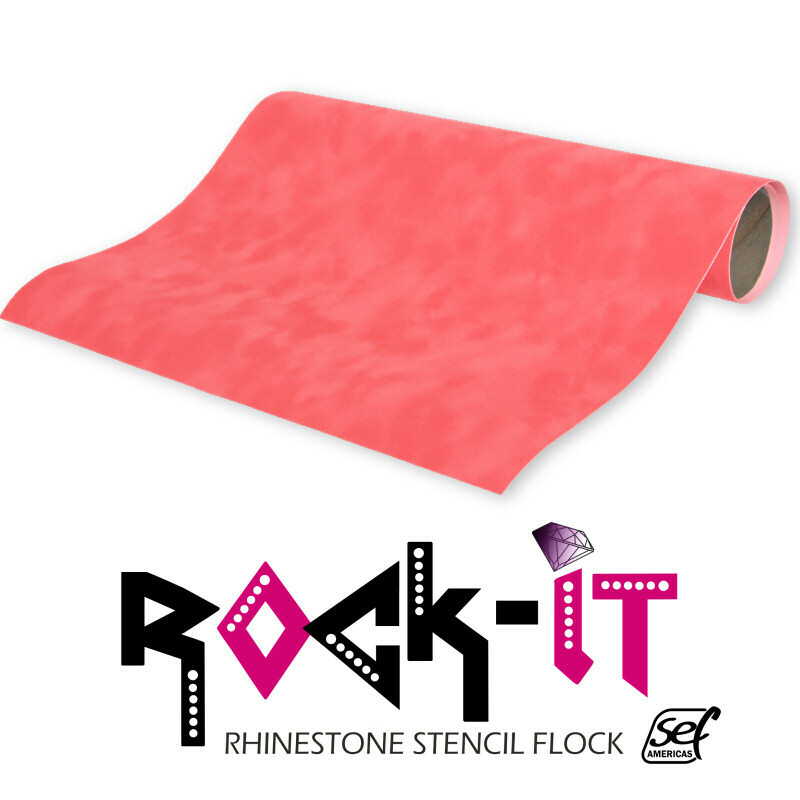 Rock-It Rhinestone Stencil Flock is easy to cut with any cutter and is economical to use. Flock surface is easy to separate from the sticky back. Perfect for rhinestone templates, and the stencils can be used again and again. A 60 degree cutting blade is recommended, but will also work with a 45 degree blade. MESA no longer carries Sticky Flock, as the manufacturer went out of business. Give Rock-It a try - we think you'll like it!